Saturday, July 23, our band officers and auxiliary captains will attend a leadership workshop presented by Dr. Tim Lautzenheiser at Homewood High School. 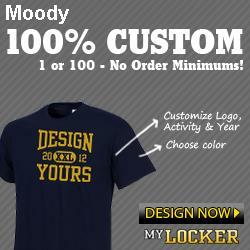 Officers and auxiliary captains are sponsored by the Moody band boosters. Any other students wishing to attend the workshop may bring cash or check for $55.00, payable to the Moody Band Boosters, to the meeting in the band room on Tuesday evening, 7/19/11, at 6:30 pm. This will be the only opportunity for students who are not officers or captains to secure a place in the leadership workshop. The bus or carpool (TBA, depending upon participant numbers) will leave the band room at 7:30 am on Saturday, 7/23. The workshop continues until 1:00 pm without a break, with a stop on the return trip for lunch. The workshop fee includes a workbook and T-shirt. Please bring extra money for the lunch stop on the return trip. Estimated arrival time in Moody is 2:30 pm. Below is the list of officers and captains being sponsored by the band boosters. Any officer or captain unable to attend the workshop should contact Dr. Sargent immediately at brad.sargent@sccboe.org.